Know more. Engage more. Sell more. Simple. Powerful. Smart. Ecrebo OnPoint shows you exactly what your customers are buying – so you can make smarter decisions about what to do next. Build your audience. Reward loyalty. Boost profits. Ecrebo OnPoint is the world’s smartest, fastest, and easiest data and execution platform. And it helps you take action with every transaction. Helping you turn goodbyes at the till into good buys in the future. Want to sell more? We’ll tell you more. OnPoint tracks every touchpoint of the entire customer journey, reporting in real-time so you know exactly how to react and reward. Today’s multi-channel marketplace is a crowded one. In a busy world of social promotions, mobile marketing and online research and reviews, it’s vital to make your brand stand out. OnPoint helps you engage with the right audience instantly – so you’re talking to the people who matter before they even set foot in-store. It may be an increasingly digital world, but 90% of transactions still happen in-store. So how do you make the most of the personal touch? OnPoint engages customers directly with every swipe and tap, thanks to targeted messaging and promotions. It makes the path to purchase easy and inviting – ensuring plenty of return journeys. OK, the sale is in the bag, but how do you keep your customers coming back for more? OnPoint gives you powerful tools to engage with your audience after purchase and reward them for their custom in real-time. So they get compelling content and attractive offers. And you get long-term loyalty and repeat business. We’re always listening and learning. That’s why we asked 1,000 UK consumers what they really thought about loyalty and personalisation. The answers made for interesting reading. Download our Consumer Insight Index to see what they told us. Things are always on the move at Ecrebo, so here’s a selection of our latest news, insights and events. Ecrebo today announced a five-year contract with Dixons Carphone, Europe’s leading specialist electrical and telecommunications retailer and services company. The partnership will allow Dixons Carphone to upgrade the capabilities of its point of sale coupon programme by implementing Ecrebo’s advanced ‘Message at Till’ solution across all 450 of its megastores. After a highly competitive RFP process, Dixons Carphone selected Ecrebo due to the solution’s sophistication and precision, allowing for better consumer targeting and personalisation. Is the high street dead? At Ecrebo, we don't think so. 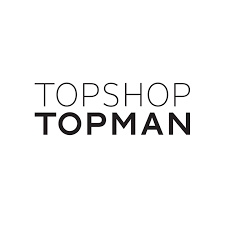 But the high street needs to reinvent itself if retailers are to survive the challenges of our current climate. Download our ultimate guide to reinventing the high street to increase footfall. The way shoppers buy is changing. And in the face of huge competition, attracting them and keeping them loyal has never been so challenging. Check out our latest animation which shows how, here at Ecrebo, we work with some of the biggest names in the retail business, to help overcome this challenge. Easter is an important event for many, especially given the fact that consumer spending for the holiday period could reach over £1.2 billion if predictions from last year are anything to go by. And as over 80 million Easter eggs are sold annually in the UK, it’s imperative that retailers maximise their share of this spend. Ecrebo has announced that Waitrose, one of the UK’s leading grocery retailers, has signed a five-year agreement to deliver targeted customer engagement through its OnPoint Coupon solution across the grocery retailer’s 350-store estate. 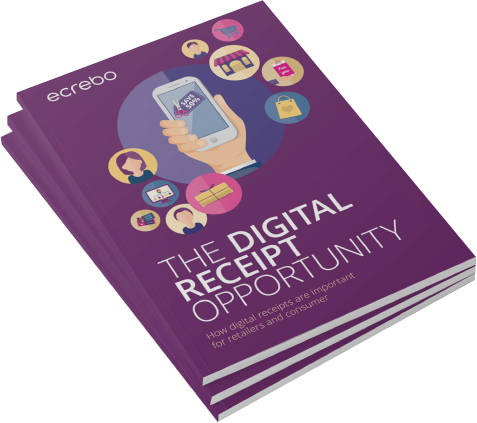 Ecrebo’s technology enables Waitrose to communicate with its in-store customers at the point of sale and in real-time through highly-targeted coupons and messages. Waitrose began trialling Ecrebo’s OnPoint Coupon solution in 2015, and uses the technology to complement its offline marketing activity. The platform is fully integrated with the myWaitrose loyalty scheme, which has over six million members, enabling Waitrose to better understand their customers.